Cathie Filian: Joinn Us For The Tree Lighting! Joinn Us For The Tree Lighting! 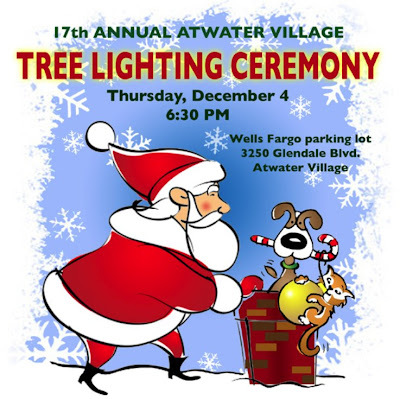 Come one, come all.... to the Atwater Village Tree Lighting! Steve will be plugging in the lights and my sister and I...will be Santa's Elves - that is, if we ever finish our costumes! The night will prove to be hometown style fun in the heart of Los Angeles and might feature a surprise guest or two! Bring the kids, bring yourself and bring a little holiday cheer to Atwater, CA! The 80-year old California Redwood that graces Glendale Boulevard in Atwater Village will again be illuminated for the Holiday Season on December 4th! A 55-minute program will mark the Holiday Festival complete with the arrival of Santa Claus to mark the lighting of the tree. 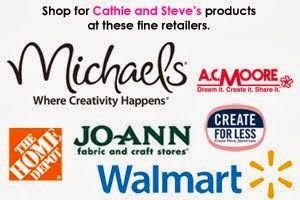 Local Glendale Businesses will be open late for your Holiday Shopping enjoyment! Come celebrate the season in the Vibrant Village of Atwater Village! The Atwater Village neighborhood Council is co-representing the event, and Wells Fargo and State Farm Insurance Atwater Village are official sponsors. Other sponsors include: The Griffin, Black Eyed Peas / Peapod, dtox day spa, Maid in the USA, tylerspencer design studio, 55 Degree Wine, Atwater Grill, Baracoa Cuban Cafe, Best Buy, Bikram Yoga, Bill's Liquor, Black Maria Gallery, Canale, Christ's Church, Crispy Crust Pizza, Future Development, Grain, Heartbeat House, Importante, Jeromy Robert Photography, Kaldi Coffee and Tea, Luis Lopez Automotive, Mila Children's Boutique, Mortarless Building Supply, Movements, Pampered Birds, Pilates Metro, Pot-ted, Violet Willow, Woof Dog Boutique.